New reality television shows like "Real Deal" offer the unemployed a road-map to starting their own businesses while websites like StorageTreasures.com and TheRedneckPicker.com play a key role. The feedback from the show has been amazing. It takes hard work and dedication to become a ‘Picker’, I’m delighted to see how many people have the determination to start, and then follow through. Troy Howerton, star of the new reality show, The Real Deal, has been named the official picker of StorageTreasures.com. 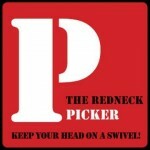 Howerton is widely known in internet circles as The Redneck Picker, and has come onto the national scene with the new series, which airs on the History Channel, one of America's largest satellite and cable channels. The show is just a few weeks into its first season and has posted solid ratings to date. Love it or hate it. Pretend that you don’t but secretly do. Reality TV is here to stay. What is strange is that the latest shows are providing a solution for many trying to recover from the economic meltdown of the past half-decade. Unlike the ‘Apprentice’ format, the new shows aim to help many—not just the one. Stranger still is that one of humanity’s two oldest professions should be at the core of the solution. Trade! Trade, simple buying from those who need money and selling to those who need ‘things’, is a powerful driving force in this new economy. Nowhere is this economic reality of our times, and the consequent trade opportunity, more apparent than in the storage, storage auction, and ‘picking’ businesses. This sector, together with the downstream buying and selling, is where the latest reality shows shine. Through getting to the heart of the entire sub-culture that surrounds the reality, TV shows, and websites like StorageTreasures.com and TheRedneckPicker.com, could really make a difference. The increasing groundswell of opinion, and evidence, that ‘traditional’ jobs are a thing of the past has reached, if not passed, critical mass. According to the most recent census statistics from U.S. Dept. of Commerce, some 99.7% of businesses in the US are ‘small businesses’, otherwise known as ‘Small to Medium Enterprises’ or ‘SMEs’. Just like jobs-for-life, the large corporation is a thing of the last Century. Today, it is every man and woman for himself or herself. Further, with 62% of employees working for businesses with less than 10 staff, it shows. The ‘reported’ unemployment statistics understate the extent of the problem significantly. According to most informed sources, if those who have stopped ‘looking for work’ are added to the national unemployment statistics, the true percentage of the US population seeking that next opportunity is approaching 20%. However, the definition of ‘jobs’ has changed. Francine Hardaway, writing recently in the Huffington Post, said, “In the 21st century, jobs are an anachronism, a paternalistic holdover from an era we have passed through. In many other countries, people do not wake up expecting to be given a job. They expect to create something—be it a woven basket or a piece of music or a crop of bananas—that has value to someone else, and can be traded for the sustenance they need to go on.” With the continued uncertain economic outlook and unemployment at a historically high rate, this concept highlights the opportunity. Reality TV has picked up the challenge and is doing something useful. It is broadcasting the opportunity and creating jobs. One such show is A&E's real-life series "Storage Wars: Texas", a program that achieved a record-breaking 4.1 million total viewers for its premier. The most recent show, “Real Deal”, this time from the History Channel, first aired at the end of November, 2011 with an exceptional 2.4 million viewers. Reality TV may be the standard bearer but the medium is riding on the coat tails of successful traders and online businesses established to provide education, the ‘social’ lubricant, and connections for the new generation. What affect the new breed of reality shows has on the economy as a whole remains to be seen. However, one thing is certain. Trade continues to be a major driver of the US consumer society and the new breed of online traders, and supporting businesses, will grow as the trend continues. Reality TV will help. Strange, but true!